Inbio 260 is a two Door Controller which support Fingerprint from eSSL. 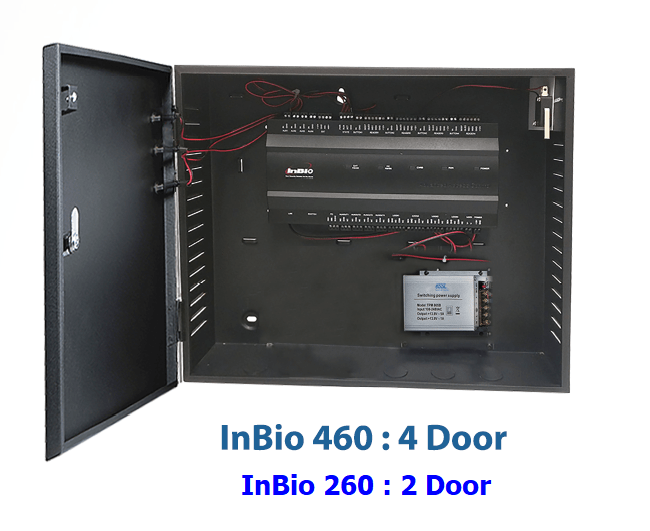 2 DOOR CONTROLLER Inbio 260 eSSL support 4 readers 2 locks. We also have 4 door controller access control system. 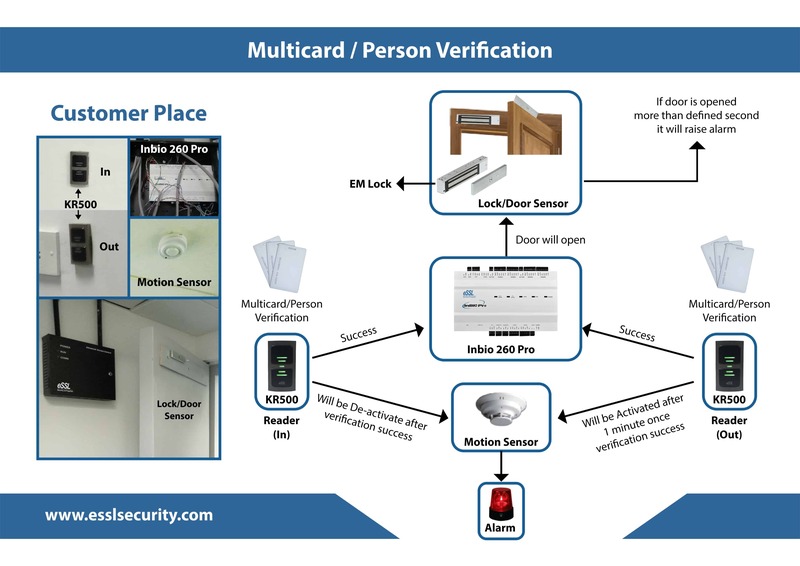 Two Door Multi-Door Access Control System. Type of System: RFID Access Control System Fingerprint Access Control System. 4 auxiliary input can be connected to infrared body detectors, Fire Panel/smoke detectors etc. 4 auxiliary output can be connected to alarms/siron, Light indicator, door bells etc.